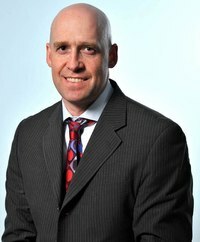 Dr. Bagshaw is a Clinician Scientist and Associate Professor of Critical Care Medicine in the Department of Critical Care Medicine, University of Alberta. He trained at the University of Calgary (Internal Medicine, Critical Care Medicine, Masters of Science Epidemiology) and the Austin Hospital (Critical Care Nephrology) in Melbourne, Australia. Dr. Bagshaw is supported by a Canada Research Chair in Critical Care Nephrology. He has research expertise in clinical epidemiology, clinical trials and health services research. His research focuses on acute kidney injury, vulnerable populations (e.g., elderly, frail), ICU organization and capacity. He has published over 300 peer-reviewed papers, numerous book chapters, and peer-reviewed for over 30 medical journals. Dr. Bagshaw is a member of several organizations including the Canadian Critical Care Society, Canadian Critical Care Trials Group, and the Acute Dialysis Quality Initiative.